The ABS-CBN Foundation supported computer laboratory of Ambasing Elementary School. I was born on October 19; 1997… sana makaahon na rin ang economy sa Ambasing!! yup, guys. 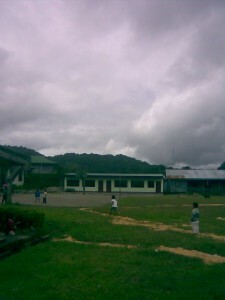 AmES was first sponsored by GMA Kapuso Foundation. However, ABS-CBN brought bigger blessings to the school, including the laboratory. Let us just be thankful for the blessings that our brother and sisters there are enjoying. Hoping that administrators of school will efficiently manage the blessings.